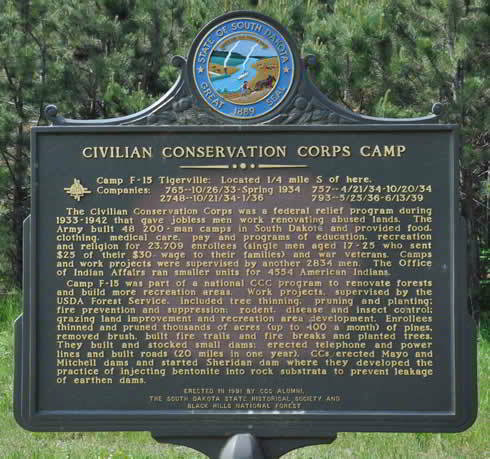 South Dakota Civilian Conservation Corps (CCC) camp Camp Tigerville was located approximately 8 miles NW from Hill City, SD on Deerfield Road. Camp Tigerville was located approximately 8 miles NW from Hill City, SD on Deerfield Road. A sign erected in 1991 indicated that the campsite was 1/4 mile south of what is now Deerfield Road (2015). 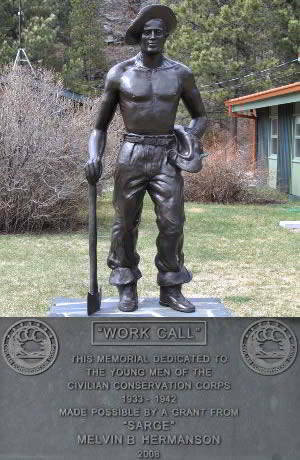 Company 765 was originally organized as 1795 in North Dakota on May 29, 1933. In June the company was reorganized and given the number 765.